Matthew Caws of Nada Surf // 3 color 16x20 screenprint. 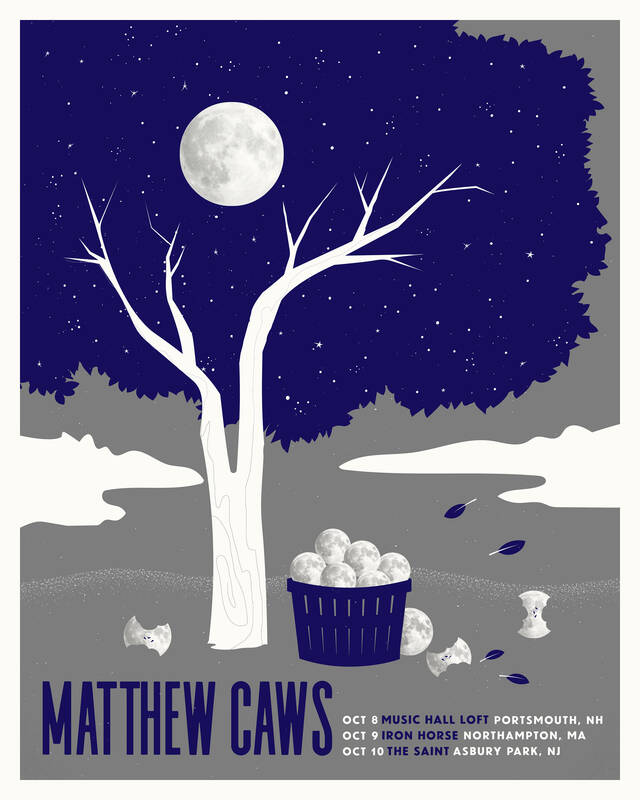 Mini-tour poster for Matthew Caws of Nada Surf! 16x20 3-color (2 plus metallic silver on the moons) screen print on Cougar White 100# Cover.